At Suffolk Pianos we stock new pianos by Feurich, Ritmuller, and Steinhoven. We can supply other new pianos at your request. Compare our prices to our competitors. Just in – new pianos by Feurich and Ritmuller. Suffolk Pianos sell a wide range of refurbished, used upright and grand pianos – we sell pianos by Kemble, Yamaha, Knight, Welmar and other top quality British, German and Japanese manufacturers. We would like to purchase or part exchange your unwanted piano – as long as it is of good quality and can be refurbished. Do ring Lesley on 01787 310901 to discuss your piano. 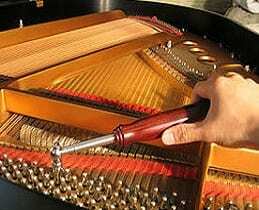 We sell, hire (long term), repair, repolish & recondition pianos: contact us for a quote for either a partial or full refurbishment of your piano. New service – we now rent out pianos- contact us to find out more. Deliver your piano with low cost nationwide delivery service; we use Accord Piano Logistics, professional piano movers, a fully insured company specialising in piano moving. 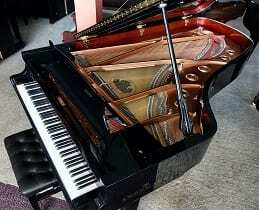 Want a great piano but can’t afford to buy it outright? Take It Away Interest free scheme!